By the time Lars Frederiksen unveiled Old Firm Casuals in 2010, the singer/guitarist was already very well exposed in the punk rock community. He had already cut his teeth with U.K. Subs in 1991, gained pop (and pop-punk) stardom with Rancid beginning in 1993 and “gone solo” with The Bastards in addition to taking a seat in the producer’s chair at the request of bands including Swingin’ Utters, Dropkick Murphys, Agnostic Front and Marky Ramone. He was an institution. The catch with ascending to such heights – particularly for a punk rocker – can be that the desire to just cut loose on a small stage before smaller crowds in order to revisit the sensation of playing music strictly for the love of it can be all-consuming – and that’s precisely where Old Firm Casuals came in. From head-to-toe and through-and-through, OFC was a band designed to get back to Lars Frederiksen’s roots; the interest was to work small releases (seven-inch singles, split singles, compilation albums) with no flash or fanfare, and to not rely on stardust to just carry the music to listeners who were already sold before they’d heard a note of music. Simply said, the interest was to start a band with a couple of friends who have known each other forever, and do music for fun – with no thought put into trying to make a second career of it. 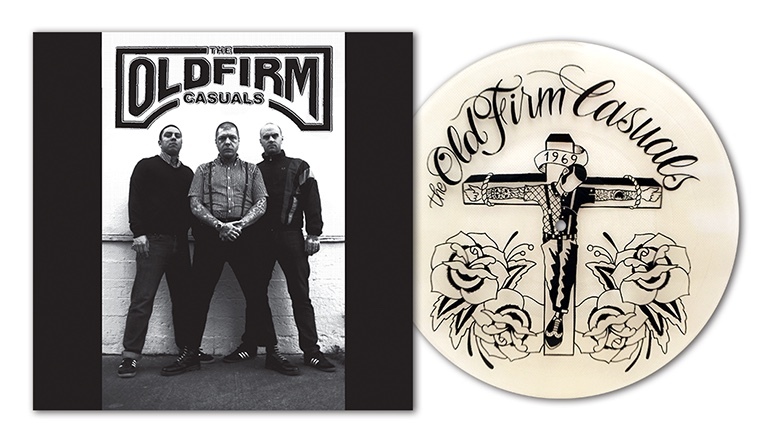 In that way, “Old Firm Casuals” wasn’t just a name for this band, it was a mission statement – and listening to the first music that the band ever released on this reissued version of The Old Firm Casuals, it’s impossible to miss the point of what the band is standing for. As soon as “The Old Firm” screeches out to open this EP, listeners will find they’re taken back to a different time and place in the evolution of punk rock. There, with a very trebly and overdriven guitars and a sound so raw that it could believably be called anti-production, listeners will find themselves completely hypnotized from note one; the song sounds as though it was recorded live off the recording studio floor (and maybe rehearsed a handful of times before the tape rolled), and has the perfect urgency which can only come when the band recording it JUST minted the music. The guitars are lean but vicious and the bass plays that way as well but, rather than coming off like a rushed and stiff recording, the quality of the song shines through brilliantly and clearly has the potential to win listeners. Lars Frederiksen’s vocals here – and lines like, “So let’s get one thing straight/ Get a fist right to your face/ … / Bring back original style/ Something you haven’t seen in a while” – feel earnest in their delivery and easily hook listeners with that energy. It’s against the grain in all the right ways and, at fifteen seconds short of three minutes, it “The Old Firm” leaves nothing behind for listeners to grasp; here, they either hold on tight and hope they’ll be able to keep up, or listeners will just be left choking on the song’s dust. The same proves to be true of “Lone Wolf,” which follows hard hard and fast after “The Old Firm”; the song plays in a manner which can only be characterized (with the help of examples like The Bastards’ debut LP) as “stock Frederiksen” in that it’s hard and fast and like the work of a street punk veteran, but (as was the case with the EP’s opening cut) the ambition to really work hard and break through is what causes the cut to stand out. As was the case with its predecessor, the familiarity of “Lone Wolf,” is what gets the song over. It feels like a classic Rancid song, but it was fresh and brand new when the Old Firm Casuals EP was originally released. Now, after “Lone Wolf” stomps out, that’s where the original pressing of the Old Firm Casuals EP and the new Pirates Press reissue differ. Originally released as a four-song seven-inch, listeners would have had to flip the record over in order to appreciate the rest of the music on this EP – but that’s not true anymore with this new 12-inch picture disc release. In this case, all the music is concentrated on one side of the vinyl with the second side being occupied by the picture in the pressing. What that means for listeners is that there is no waiting and hoping that Old Firm Casuals can keep its energy and momentum after listeners’ stylus gets rest on the second side of the record, it can just plough on with “Apocalypse Coming.” That actually helps the play move along beautifully; in this case, Frederiksen’s old-school musings (“The old school is burning/ It taught us how to burn/ The message that we’re learning/ All the streets are where we learned”) don’t have to try and recapture the fantastic/frenetic energy that “Lone Wolf” left off with, it is able to just keep chugging along. And it does – the sort of crunchy, natural reverb-touched tone of the guitars recall the needs-first production of SoCal punk records from the Eighties and paint the image of the tape rolling during a soundcheck on a tour stop. That energy endures through the side-closer, “Casuals,” too and, after it ends and the needle lifts, listeners will find themselves so stunned nearly to the point of offence that the side is over and there’s nothing left to hear. They may immediately restart the EP and play through it again to salve that injury, but it will only be temporary relief; this is great for longtime fans to revisit, but they’ll be digging through their collections for more after their time with this reissue is up and those just introduced to Old Firm Casuals by this reissue will be looking for more, immediately. 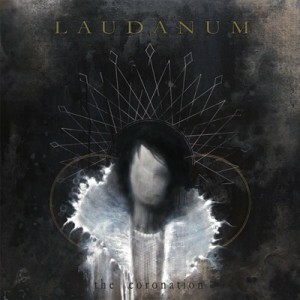 The sophomore release from Oakland-based Laudanum is a fragmented collection of ambient doom-ish noise that only adequately reveals the band’s self-proclaimed “blackened instrument damage” when it’s listened to as a whole.